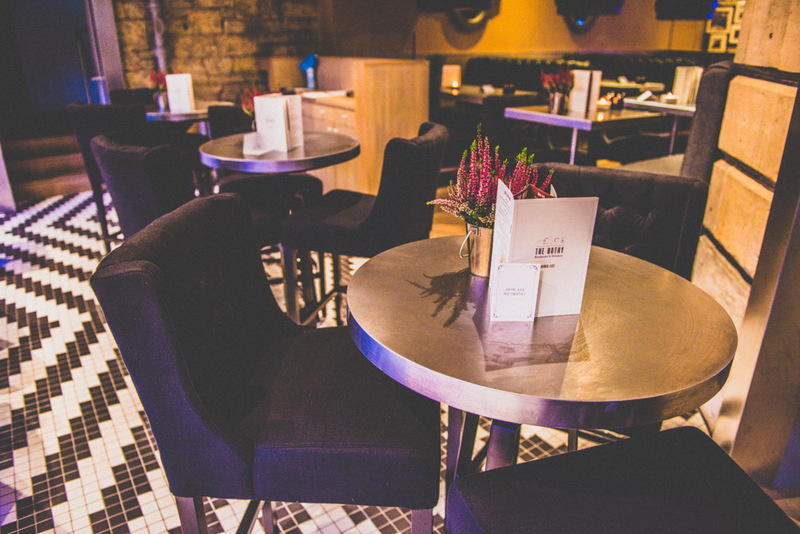 Murrayfield Hotel in Edinburgh with its grand heritage architecture, has recently had a glamorous design makeover with a smart new Bar and Bistro. A short walk away is Murrayfield House, offering guests a private secluded address featuring nine luxuriously furnished Suites. 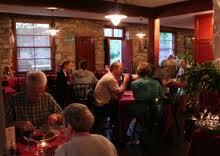 With its own front door, the venue is ideal for exclusive use accommodation for a Wedding, Family or Corporate event. There is also a pretty garden at the back for alfresco drinks and relaxation. The entrance Hall has a display of unique sculptures like re-crafted driftwood. The Interior Designer Jim Hamilton, (renowned for décor at Tigerlily and Blythswood Square hotels), seems to be passionate about sourcing vintage, salvaged furniture such as a shabby-chic chest of drawers from Morocco. The backdrop of high walls is painted a warm earthy mushroom. Up the impressive staircase to our Suite. Wow! 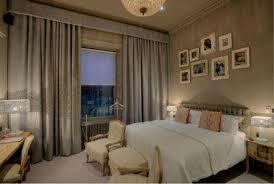 Here sumptuous, cosy comfort creates a dream space for a homely stay. The colour palette throughout is soft oatmeal and cream. 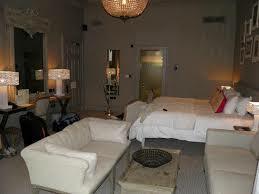 The room is enormous with a super King Bed, and near the window, two large sofas around a coffee table. Recycled wood dressing table and wardrobe have a Shaker-esque look. 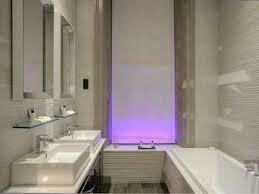 The ensuite bathroom has two basins, power shower and deep bath with central taps: save water, bath with a friend.! The only quibble was the lack of any soap – (shower gel, shampoo and lotion supplied). But this was quickly sorted after a call to reception. The giant mirror above the dressing table hides the Television, well positioned opposite the bed for late night/early morning viewing. Luxury facilities include bathrobes and well stocked mini-bar. Free goodies too – jar of biscuits and a miniature of whisky. 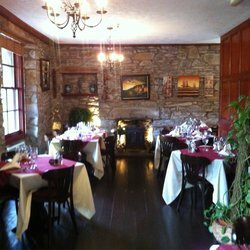 Back in the main Hotel, the spacious Bothy Restaurant and Drinkery Bar has leather booths, perfect for couples or larger parties. The décor is based around polished wood, stone walls, industrial steel with black and white photographs artwork. Lively atmosphere with good music, weekly quiz and other events. 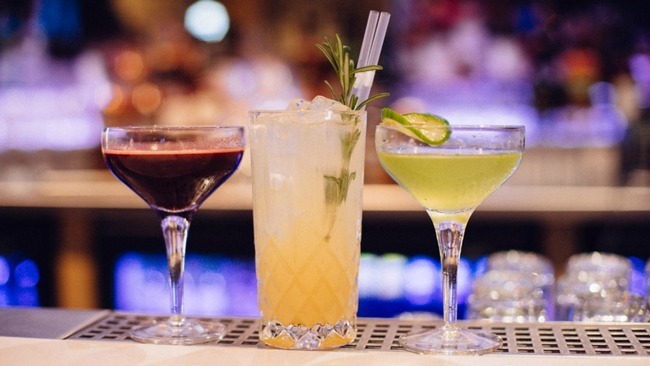 Do try one of the inventively created cocktails – Pear and Rosemary Sparkle (vodka and Prosecco), or Mango Jalapeno Margarita for a refreshing change. 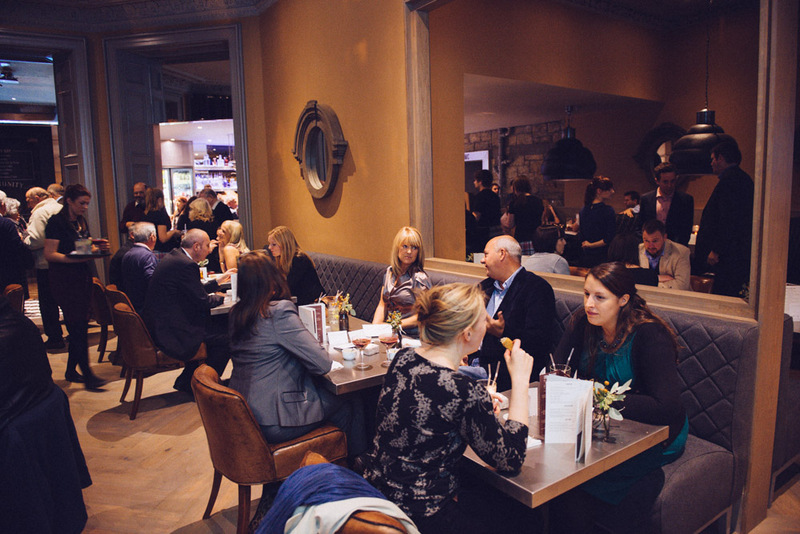 The Bothy Menu focuses on pub grub favourites – Steaks, Burgers, Fish and Chips, Pasta to suit locals and hotel guests. Breakfast offers hearty dishes from full Scottish (top marks for vegetarian option), Eggs Benedict, Eggs Royale. Usual Cereals and pastries on the buffet table but a larger selection of juices and fresh fruit would add a more healthy alternative. The location away from the city centre is no problem with easy transport from the airport, train stations and into the town. 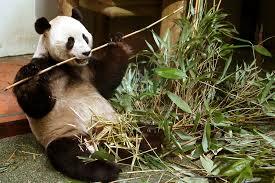 Murrayfield Hotel is near the rugby stadium, and The Zoo is just a five minute bus ride away. 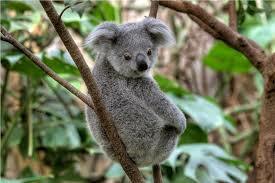 See the famous Pandas as well as penguins, monkeys, chimpanzees and koala bears. 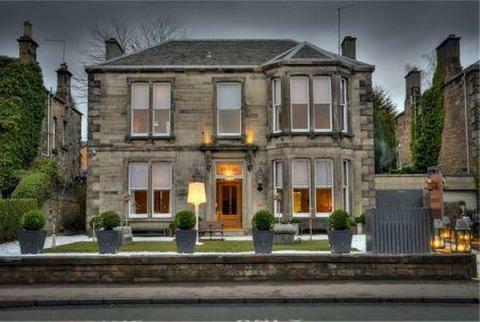 The Murrayfield is part of the prestigious G1 Central Edinburgh Hotels Hotels collection. Following the creation of the deluxe House suites, as well as private dining rooms and conference facilities, the full accommodation refurbishment project will be completed soon. For local residents around Edinburgh or the Borders and perfect for the visitor to Scotland, an exciting and innovative style of Car Hire has arrived in town . Whether you need to rent a car for a day, a week, a touring holiday, for business or pleasure, Arkvendor, based in Edinburgh and Berwickshire, has a prestige collection of modern design classic cars and vehicles. Unlike the typical high street Car Hire company, (with everyday choice of a Ford Focus, Renault Clio or VW Golf), Arkvendor offers memorable, Top Gear-style motoring adventures. 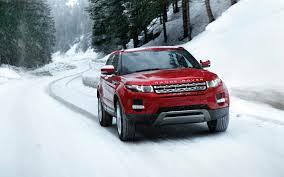 Especially designed for touring rough countryside terrain and Highland glens, the top supermodel of a vehicle, the Range Rover Evoque 4 x 4 combines a powerful performance from the diesel engine and automatic transmission with a luxurious leather interior. On a recent trip touring Loch Lomond, I had the pleasure of being driven in Arkvendor’s very sleek and fashionable black and gold Evoque. Enjoying the ride, I appreciated the smooth acceleration on the motorway as well as the manoeuvring ability along flooded, mud-splattered roads, due to the automatic six gear paddle shift. Loved the heated seats on a cold winter’s day too!. 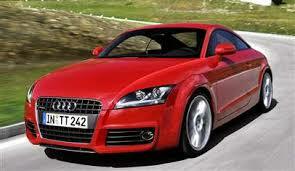 Originally launched in 1999 with multi awards for design and engineering, the Audi TT Coupe is seen as the most desirable car for an exhilarating driving experience. The four cylinder engine offers supercar acceleration with sharp steering; for a speedy sports car, it’s economical and reliable, practical yet sophisticated with interior space and comfort. The petrol head boys on Top Gear are clearly impressed with the Audi TT: “ a bona fide small sports Coupe for literally all seasons …. 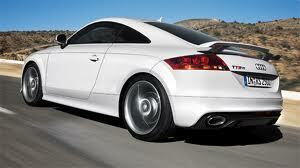 fast, refined and fantastic to drive” . 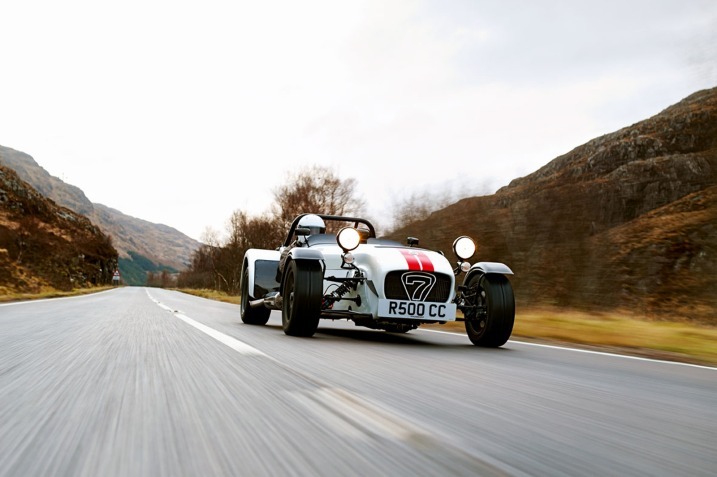 Imagine a trip to the Highlands in a Caterham 7? 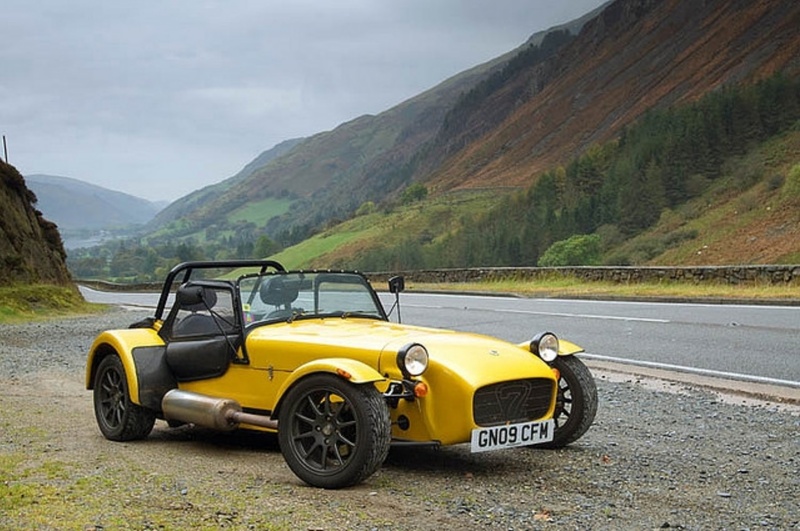 Planning a unique driving adventure for a couple of friends, – who could resist taking a classic Caterham out for a leisurely spin?. 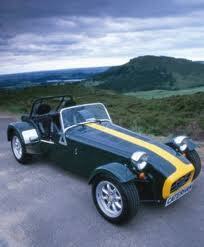 The Caterham 7, based on the former Lotus 7, is widely regarded as being one of the most thrilling sports cars around. With the wind in your face, this open-top, road legal Race-car has precision steering, racing suspension in its ultra lightweight construction. 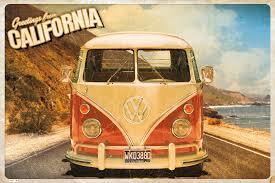 Arkvendor also has another cool and classy Retro vehicle which you can rent for a fabulous, fun road trip!. The sunflower yellow VW Campervan T2 is a five seater, sleeping four people, with all mod cons, hob, grill and cooking utensils, Pop up roof, DVD/CD and Satnav unit. At a campsite, you can hook up to the mains for power. 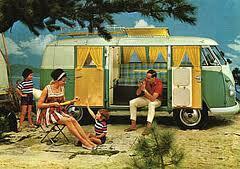 Renting a Campervan offers the most nostalgic dream vacation in this oh so stylish “Tent on wheels”. 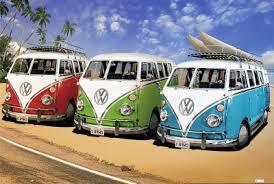 The iconic VW Campervan is a beloved symbol of cultural heritage, representing getaway outdoor freedom and traditional family holidays. With all these prestige cars in the Arkvendor collection, the emphasis is not so much on the destination, but on experiencing the journey, your own On the Road driving adventures. 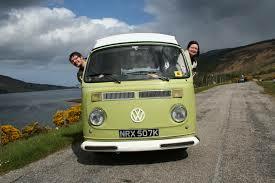 Why not book a super sportscar or Campervan for your next day trip, a weekend break or family holiday in Scotland.? 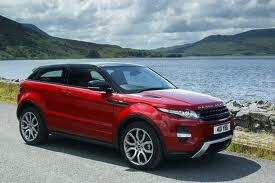 See the website for more information, car rental tariff and booking enquiries. What prestige car would you like to rent from Arkvendor? Fern Cottage, Ferry Road, Pitlochry, PH16 5 AA. In the heart of Big Tree Country, Pitlochry is the largest town in Highland Perthshire and a wonderful holiday destination all year round. The location is just perfect for the traveller, touring by car or by train – the railway has served visitors here for over 150 years. 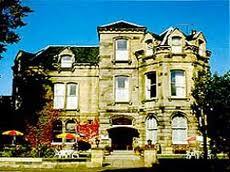 Surrounded by artistic landscape bridging the gentle lowlands with rugged mountain peaks, the Pitlochry area offers outdoor adventures, lochs, woodland walks, cycling trails, fishing, golf, castles, whisky distilleries, gardens, shopping, arts and culture. The Pitlochry Festival Theatre boasts an exceptional programme of drama, music, comedy, literary events and exhibitions across the four seasons. For accommodation, there’s a diverse range of hotels, guest houses and B & Bs, as well as bars, bistros and restaurants for hungry and thirsty tourists. In the centre of town just off the main Atholl Road and a few minutes stroll from the Station, is the ivy covered, traditional stone Fern Cottage. Pretty flower-bordered patio garden too for alfresco drinking and eating. Described as a Restaurant and Tea Room, this is such a warm and friendly place, whether for just coffee and cake, lunch, afternoon tea, pre theatre meal or a la carte dinner. The culinary theme is Where Scotland meets the Mediterranean, emphasising fresh produce – locally sourced meat, fish, fruit and vegetables blended with the sunshine flavours of Italy, Turkey, France and Spain and other culinary cultures. It’s all very international in the kitchen where the chefs are Rifat Aycan from Turkey (who is the co-owner with his wife Karen), Andrew Bain from New Zealand and Miguel Simensen from Spain. Karen and Rifat have long experience in the hospitality and restaurant business, first in Turkey and since 2002, they have welcomed diners to Fern Cottage. 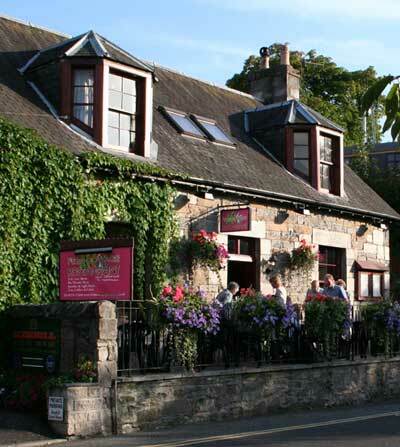 A good understanding of Pitlochry residents, British and global visitors is key to creating a popular range of menus for all tastes, appetites and ages (quality, home made dishes for children). 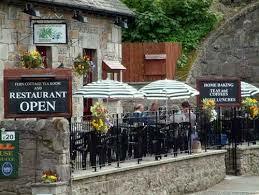 This is a much loved, popular place to eat and drink. The choice at lunchtime is simply amazing: home made soups, gourmet sandwiches, burgers and baked potatoes. My dining partner Ken and I both sampled the delicious leek and potato soup. Perfect on a cold December day. I then chose the Smoked Salmon sandwich –thick brown bread stuffed full of healthy oily fish with a salad garnish. As I was hungry, I also had a cheeky side order of chips. Fat and chunky with soft potato and crispy skins, these are worth travelling for alone! From the A la carte lunch menu, Ken then selected the Grilled Salmon served on a bed of risotto (the Italian influence), classically flavoured with white wine and parmesan. Not a forkful was left on the plate. Bar drinks include local Edradour malt whisky, Orkney ales and also low alcohol beer so that you can drink and drive. Good wine list, with House wines served by the glass, bottle and half litre carafe. We were going to the Theatre for a matinee performance of “It’s a Wonderful Life”, so didn’t want to consume a bottle at lunchtime: the carafe of Sauvignon Blanc was ideal to share. Fern Cottage caters well for theatre goers with early evening meals offering a quick, substantial supper before curtain up – soup, fishcakes, chicken, pasta, and desserts, etc. etc. The main Dinner menu is truly inventive, where Turkish specialities sit easily beside Scottish dishes: Sharing plates of tasty Mezes, Kebabs, Mussels, Venison, Haggis, Steaks, Vegetarian dishes, and a lot more besides. Next time Ken and I plan another visit to Pitlochry, we shall reserve a table in the evening so that we can experience a long, leisurely, sumptuous dinner with a bottle of wine at the cosy and charming Fern Cottage.